I visited Bluegum Grove a few weeks back. 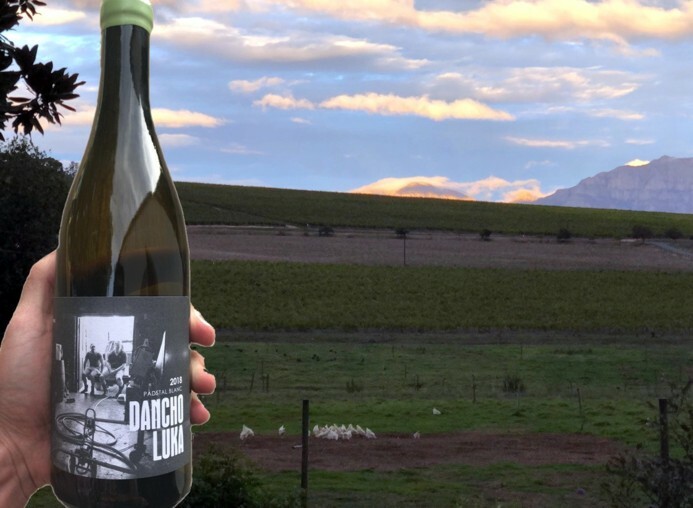 It sounds like the name of Australian sunshine-in-a-bottle designed for a British supermarket but in fact, it’s the Stellenbosch farm of Danie Carinus (well, he’s the younger generation, but runs it). When I asked Danie why it’s not rather called Bloekombos he laughed and invoked an English grandmother. He did add that it was perhaps time for a change, given that bluegums are no longer ecologically respectable and, anyway, there are only a couple left, not enough for a grove. The important thing is that the farm is on the Polkadraai Hills in Stellenbosch – just on the other side of the road from Bruwer Raats’s tasting room and already renowned small vineyards of Chenin and cab franc. And it’s just down the slope from Reyneke, which has already demonstrated what great potential this area has for Syrah (and much besides), and also from a farm named Karibib which is doing similarly, supplying grapes for various eminent wines, including the Van Loggerenberg Graft I enthused about recently. One of the Cape’s great syrah terroirs I suggested. Standing on Danie’s stoep, I could look out across the varied aspects of his farm: nearest, many hundreds of chickens ranged freely in the field – egg-layers, their freedom of movement making them a bit tough for mainstream eating, apparently. By the time I thought to take a photo it was starting to get dark and they were gravitating to the moveable shelters which take them from field to field. The remaining chickens are the white blobs in the picture. If I’d been less tardy, the field behind them would have featured the black half-Wagyu cattle that Danie also farms; but I did later have the enormous pleasure of eating a bit of one of them, expertly braaied by Danie. It’s Lukas van Loggerenberg, of course, who makes the wine for the pair of Carinus distant relatives whose grape-farms also supply many top producers: Danie’s farm here and Hugo’s family farms in Devon Valley and the Swartland. (Lukas’s winemaking shed is on the Devon Valley farm.) Hugo and Danie are linked by more than a name: they both belong in that tiny category of South African grape-farmers who genuinely understand wine, love it, and drink fine local and foreign bottles of the stuff; all of which undoubtedly affects their farming and the interactions with the winemakers they supply. 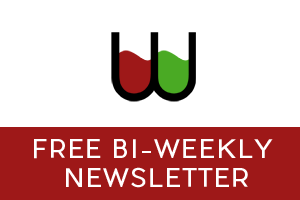 Carinus Family Vineyards Syrah 2018 (off Bluegum Grove) and Chenin Blanc 2018 (Swartland) have been out for a month or two – Christian reviewed them here. 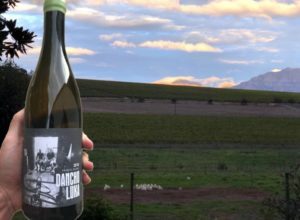 The latest single-vineyard Swartland Chenin, Rooidraai, and a new release in the Dancho Luka label (of Danie and Lukas) will be available shortly. On the evening of my visit, I tasted, with Danie, Hugo and Lukas, the three vintages of the Chenin’s and the Syrah that have been made in commercial quantities thus far. The Chenin’s, both of them always fresh and succulent, showed clear vintage variation as well as a consistency of winemaking approach (and vineyard selection). Rooidraai is always the more complex of the Chenin’s and a touch more austere – not lacking in gorgeousness, but with less obvious sweet fruit, more gingery-spicy, less quincey. While the 2017 Rooidraai had a particularly delicate power, with a lovely intensity, the 2018 is again richer, bigger in all its components, very long and fruit-filled. Up there at the top end of Cape chenins. I love the Carinus Syrah 2018, as I’ve loved all three vintages. It’s not on the elevated quality level of the great Polkadraai Hills syrahs from Reyneke (especially the Red Reserve), Van Loggerenberg and Reenen Borman’s Sons of Sugarland, but each year it’s been getting even better and more serious. In fact, I bought a case of the 2018 intending to drink it immediately – but although it is delicious, it is a bit raw still and will greatly benefit from a year or two in bottle, if I can keep my hands off it. The Dancho Luka label is used for one-off bottlings. The 2018 is called Padstal Blanc, from Stellenbosch Muscat de Frontignan: naturally fermented in old oak, five days on its skins, bone-dry and just 11% alcohol. It’s a very successful, interesting style, and I wish there were more of them around. What catches me each time I have one is the fascinating contrast between the typically fragrant aromas (citric and floral as well as grapey in this case) and the elegant, taut dryness of the palate, with its tannic touch. Worth keeping a look out for at about R140 a bottle. 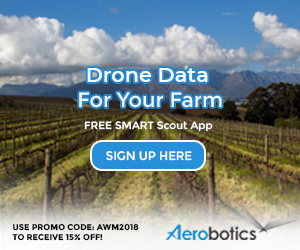 I’ve said it before and doubtless will do so again – this is what South African wine needs now, to consolidate and take things forward: more grape farmers turning to make their own wine off their vineyards. If they do it well (even if they’re not lucky enough to have someone with Lukas van Loggerenberg’s touch) it can only encourage them to work harder and more ambitiously with those vines, while increasing the number of fine bottles available for the likes of us.